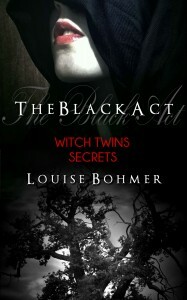 Now you can grab part two of my fantasy serial, The Black Act: Witch Twins Secrets. Cover art, blurb, and buy links below. 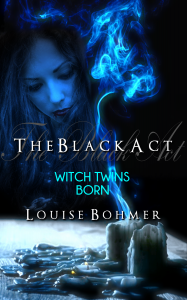 Don’t forget, you can also pick up part one, The Black Act: Witch Twins Born for free at Amazon, Kobo, on The Black Act page, and at Smashwords. Cover art for that one and download links below too. This is a serial fantasy novel that will be released in regular installments. Watch for Book 3: Witch Twins Cursed coming soon. In Book 2: Witch Twins Secrets Anna begins having visions of the witch guild’s creation history, and Claire reveals the devastating secret their guild mother told her before she died. And pick up Book 1 for free!